"Kick em when they're up, and again when they're down." Backstab is a lying, cheating, conniving little toady, and those are his only good points. He would sell out his maker (and he did in fact.) just to further his own position. There's only one reason Megatron isn't too concerned with being usurped by this scheming lackey, he's not smart enough to carry out his own elaborate plans. One of which might have worked if Megatron hadn't noticed the large red X, which Backstab used to remind himself where he planted the land mine. 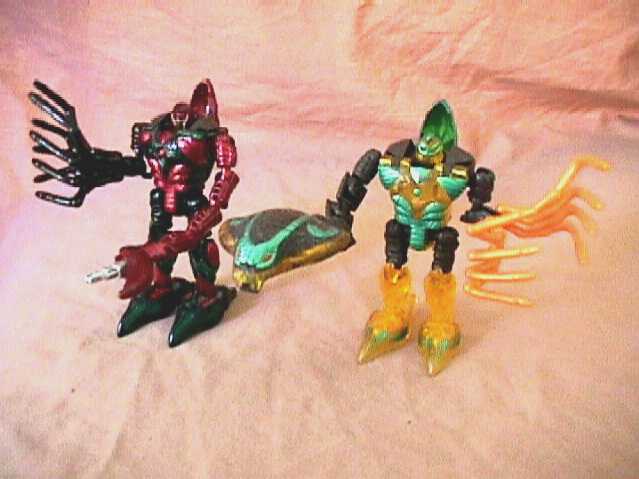 Fortunately for him, the occasional bit of information he gives his leader, and his proficiency in battle keeps Megatron from taking him off line. 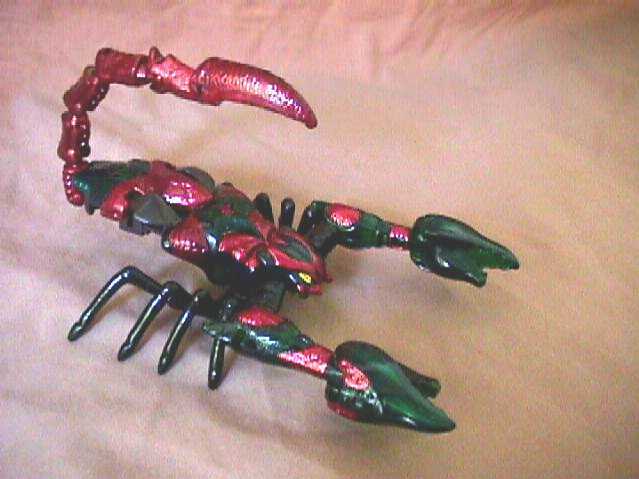 His scorpion mode is built low to the ground and is equipped with stealth armor. This allows him to evade most Maximal sensors, making him an effective spy. 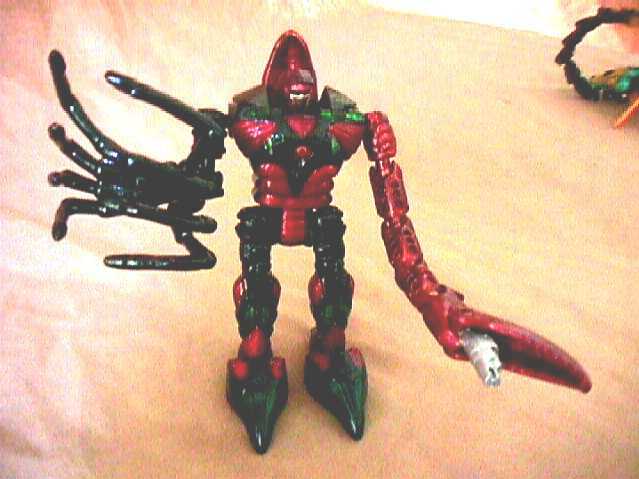 In robot mode, his stinger converts to a tight beam laser with an almost unlimited range. Megatron keeps him around almost as much for the amusement of his outrageous assassination attempts, but also because he tends to blab about the plots that others are concocting as he pleads for his life.